For me, they work the exact same where self-curling is concerned. I especially love this style of brush for the lower lashes, since the curved shape and tiny inside bristles work so well to carefully comb through and deposit enough product. Neither of the two mascaras get flaky on me, and Maybelline is just a bit harder to remove. I'm a fan of both of them. 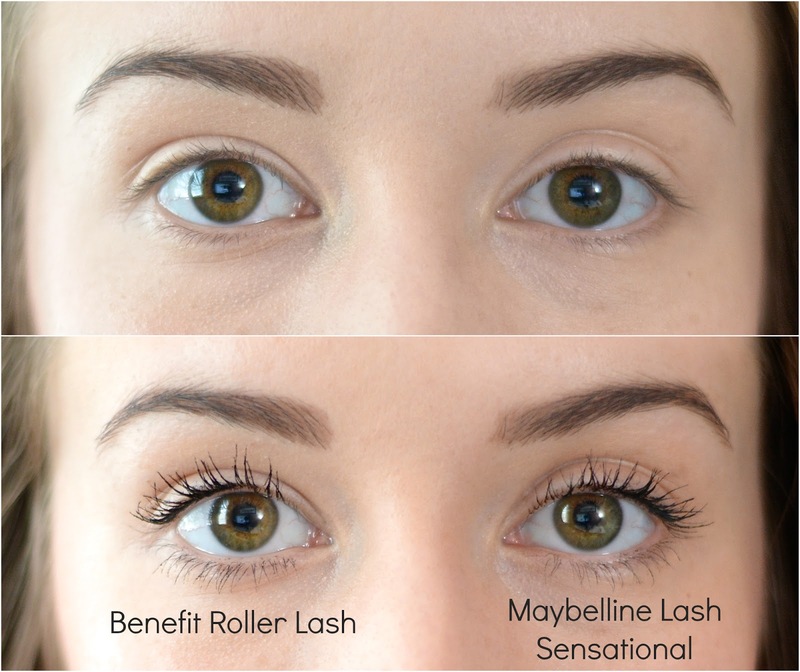 I get the same results with the Maybelline Lash Sensational as I do with Benefit's Roller Lash, and an even better appearance with the drugstore dupe overall. The Maybelline Formula is more liquidy and thick on the brush, but if anything, Benefit looks thicker and stickier on the lashes. Once again, head to the drugstore for mascara and save those pennies so you can splurge elsewhere. Wow. I'm so glad I read this before I bought the Benefit one!